They are flaky and crisp, most importantly they are real simple to make...hmm think within 30mins? hehehe they are made by Paratha! I've obtained this cheat method of making croissant from Facebook :D Just need to prepare 3 pieces frozen paratha, thaw slightly but not too soft. Spread some butter over 2 pieces and stack up. the pieces. Place it between a plastic sheet dust with some flour to prevent sticking. Thaw frozen paratha slightly for about 5 mins. Do not leave it till soft as it will become too sticky to handle. Spread 2 pieces of the paratha with some butter. Stack up the 3 pieces and dust the top piece with some flour. Place the stacked paratha between a plastic sheet. Roll out into a rectangle shape. Make 1/3 fold on the long side. 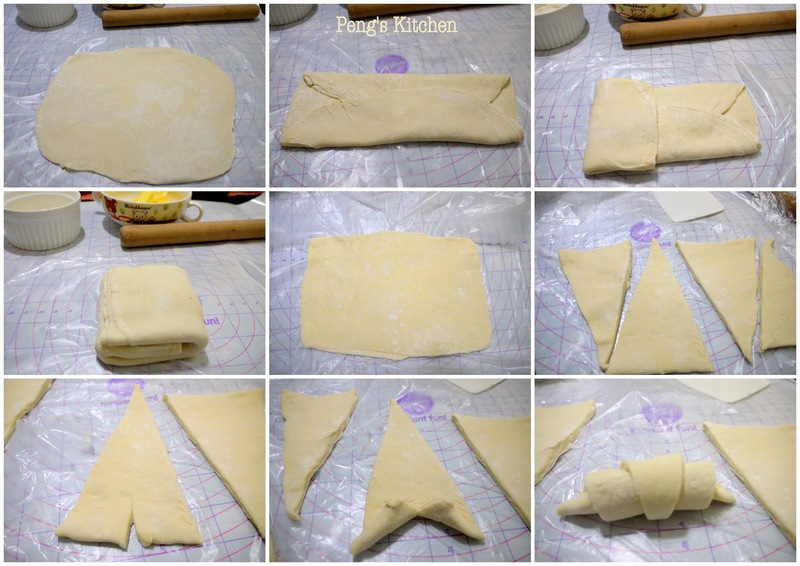 Make another fold on the shorter side. By this time the dough will be on the softer side. Freeze for 5 mins to firm it up. 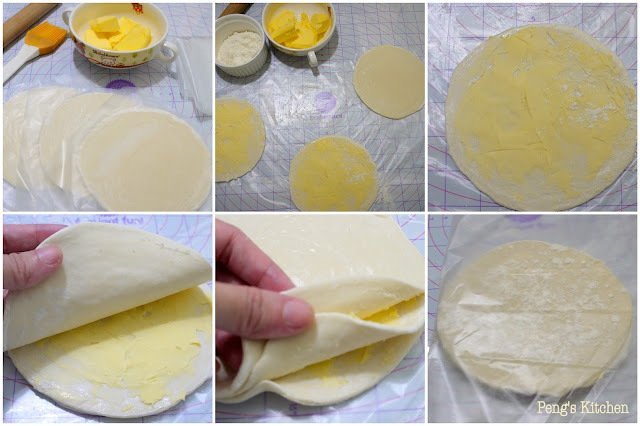 Place the firm dough between a plastic sheet. Press down firmly to flatten the dough. Roll out into a large rectangle, try to keep the edges as neat as possible. 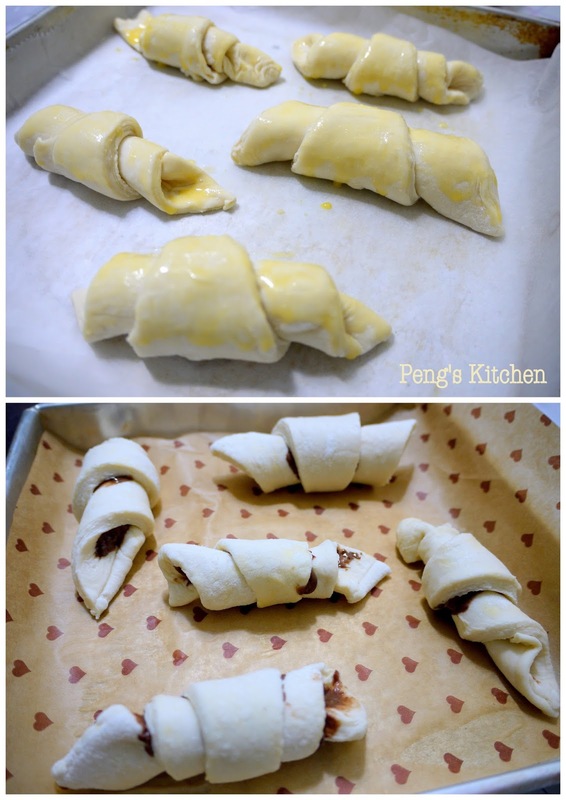 Cut the rolled out dough into 5 triangles and roll into croissant shape. (refer to pic above). Spread some nutella over before rolling up if desired. This is absolutely brilliant! And completely doable too.